A new documentary from Bill Moyers and Frontline follows two families for twenty-two years as they struggle to attain the American Dream. Before there was the Great Recession, the foreclosure crisis and the obscene economic divide that we see today, there was a gathering storm. 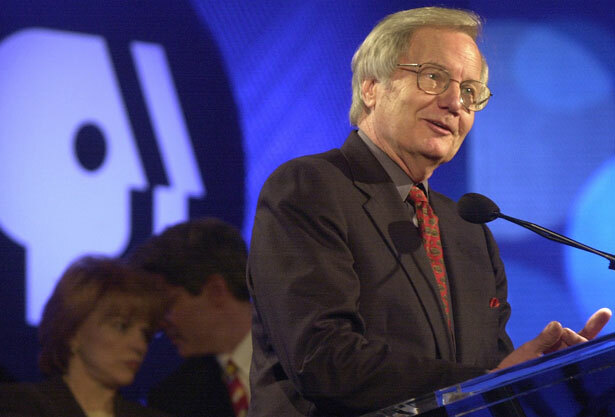 Bill Moyers began to capture it in 1991, documenting two families in Milwaukee—the Neumans and the Stanleys—as they strived to attain the American Dream: a measure of economic security and a better life for their kids. Moyers followed their stories for the next twenty-two years, and tonight on Frontline, viewers will see just how the two families fared through today. Produced by filmmakers Tom Casciato and Kathleen Hughes, Two American Families is the third must-see documentary in the past year—along with American Winter and A Place at the Table— about how “regular folks” are surviving in today’s economy. Watch it, and if your blood isn’t boiling by the end, check your pulse. These are Americans who clearly play by the proverbial rules, and we see just as clearly that the rules don’t count for much if the game is rigged. The struggles for both families begin in the early 1990s when good jobs are being shipped overseas or lost to non-union towns where wages are low. Tony Neuman loses his job with engine maker Briggs and Stratton where he was earning $18 an hour and good benefits. He searches for new work—restaurants, grocery stores, big box stores, hardware stores—they all pay less than $6 an hour. “Little do they know that I need to live also,” says Tony. He accepts a job at a non-union factory making engine parts on the night shift. He earns $8.25 an hour, no benefits. He lacks sleep and is irritable, and barely sees his wife, Terry, or their three children. Terry is forced to give up her work as a stay-at-home mother, taking a series of low-wage, part-time jobs. The Neumans struggle to pay the mortgage, one of their sons begins having trouble in school and all of the children miss the presence of their father. “Our marriage is really on the rocks,” Tony reveals. The question seems prescient when, in 1995, Keith is the first male on either side of his family to graduate high school. He wants to attend Alabama State University. The only way he is able to do so is by Jackie closing two real estate deals the day before he leaves, Keith working two jobs and receiving financial aid, and incurring major credit card debt. “God came through,” says Jackie. “But it’ll tide me over until I can get the miracle,” says Jackie. Moyers notes that in the 1990s credit card debt for the average family increased by 53 percent; 184 percent for low-income families. There was no miracle for the Stanleys, just ever-increasing credit card debt for Keith. Meanwhile, Terry’s part-time work proves insufficient so she takes on full-time work as “a driver and a guard [and] a messenger” for $7.25 an hour. But Terry and Tony worry that their children are now unsupervised like most kids in the neighborhood. They see an increase in violence and reckless behavior and worry that their own children will get caught up in it. Terry’s shifts are unpredictable—she is on call to report to work on two hours notice. She and Tony barely see each other and the family enters therapy. Meanwhile, the Stanleys discover that the health benefits Claude had weren’t so beneficial—a serious lung infection results in $30,000 in unpaid medical bills. College is no longer an option for their other children. When he returns to them in 2013, Moyers finds that three of the four adults feel like failures, including Tony, who declines to be interviewed. He and Terry eventually lost their home—JPMorgan Chase demanded $124,000, foreclosed and then sold it for $38,000. Terry, now 49, lost a warehouse job, retrained to become a home health care aide and nurse’s assistant, and is now working part-time as a caregiver for a poverty wage. Claude is nearly 60 and works two jobs—collecting garbage and also maintaining the grounds along boulevards. He is a member of a public union and earns $26,000 and benefits. Claude doesn’t feel like a failure, but even as he maintains his bedrock faith and is a minister at a church—“Still praise the lord, I still believe there’s something for us”—he’s also angry. Keith marvels at his father’s work ethic and the values his parents instilled in him and his siblings. He has a good job at City Hall and also works nights and weekends as a videographer. But he is delaying marriage and a family. The prospects for the other Stanley and Neuman children, now grown, are decidedly more mixed. It would be great if this were simply hyperbole. But for too many Americans it is now the cold, hard truth—economic security isn’t an attainable dream, it’s a tantalizing fantasy forever out of reach. For more on poverty in America, read Greg Kaufmann’s This Week in Poverty.